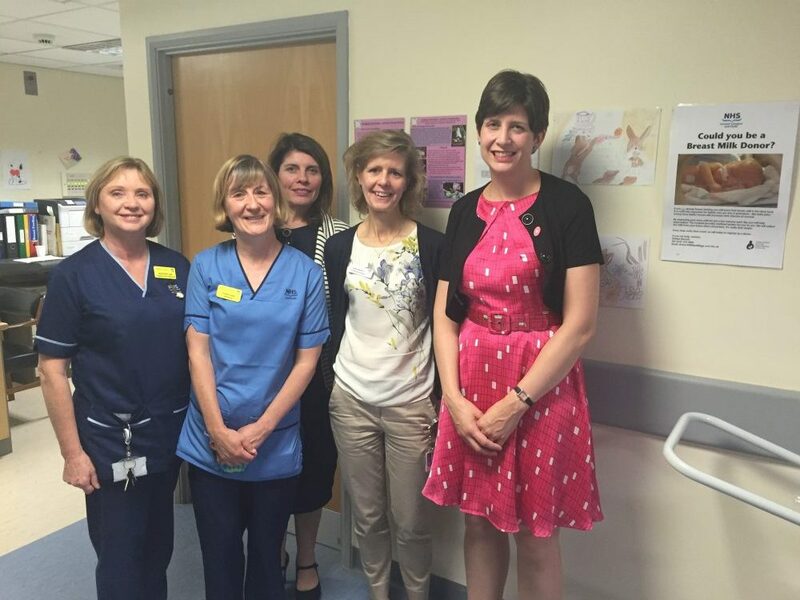 Glasgow Central MP, Alison Thewliss, today (Friday) visited the Princess Royal Maternity Hospital to meet with staff and learn more about their efforts to tackle Foetal Alcohol Syndrome (FAS). The city MP’s visit coincided with the launch of a poster campaign to make people aware of the dangers of alcohol consumption during pregnancy. Children with Foetal Alcohol Syndrome often have problems with neurological development, abnormal growth, and have characteristic facial features that result from their foetal exposure to alcohol. “It was lovely to be back at the Princess Royal Maternity again where my own two wee ones were born. I am really grateful to the busy staff at the Princess Royal Maternity for their time today.